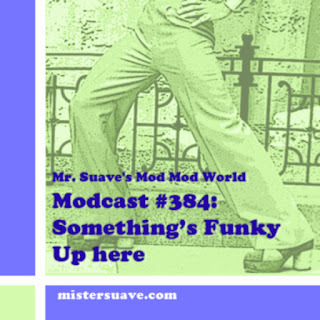 Welcome to Mr. Suave's Mod Mod World. 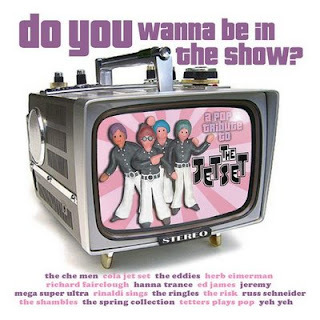 This week's opener is from The Che Men doing their cover of The Jetset's "Wednesday Girl" and comes from the brand new Jetset tribute album out from Wham Records called Do You Wanna Be In The Show. Besides the Che Men it features 17 other mod groups like The Risk, The Eddies, The Ringles, Mega Super Ultra and tons more all covering Jetset songs. Like the Squire tribute album they put out last year, this one has some really nice covers paying homage to the band, and like with The Che Men who infuse a ska vibe into their version of "Wednesday Girl" there are a few tracks that reinterpret the originals as well. All in all a real nice collection for Jetset fans. Besides that I've got loads of new stuff here from some usual suspects like The Fantastics and Madness, and from some new faces like The Ladders and Tommy Atkins. You won't be disappointed.